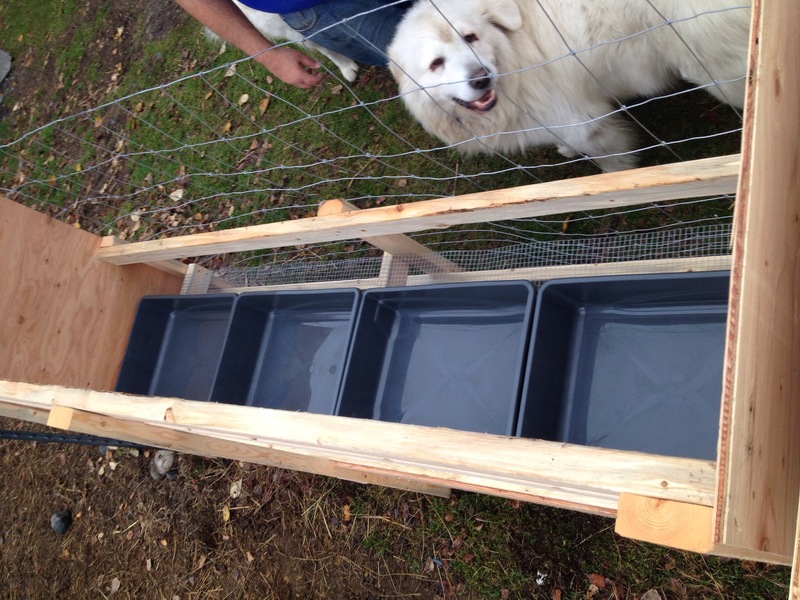 Tom has been busy building new feeders for the sheep. He used the pattern available on Premier One Supplies website and then he modified it for our specific needs. 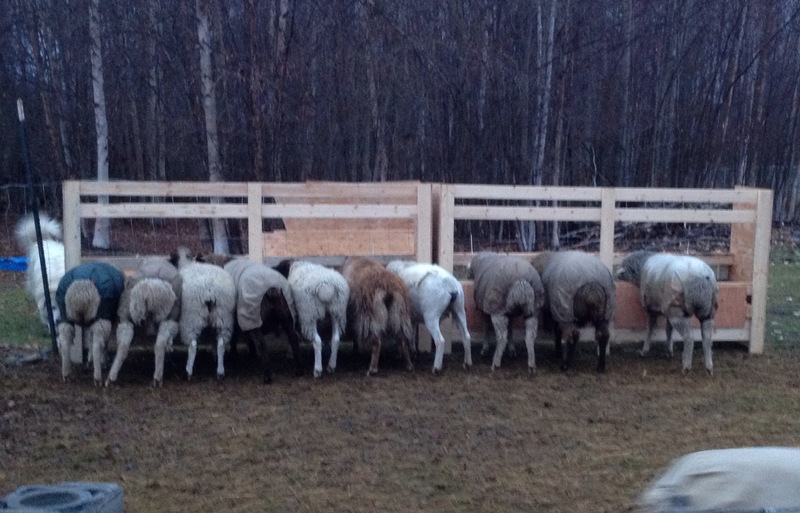 The girls bellied right up to the bar for their first feeding in their new stations. 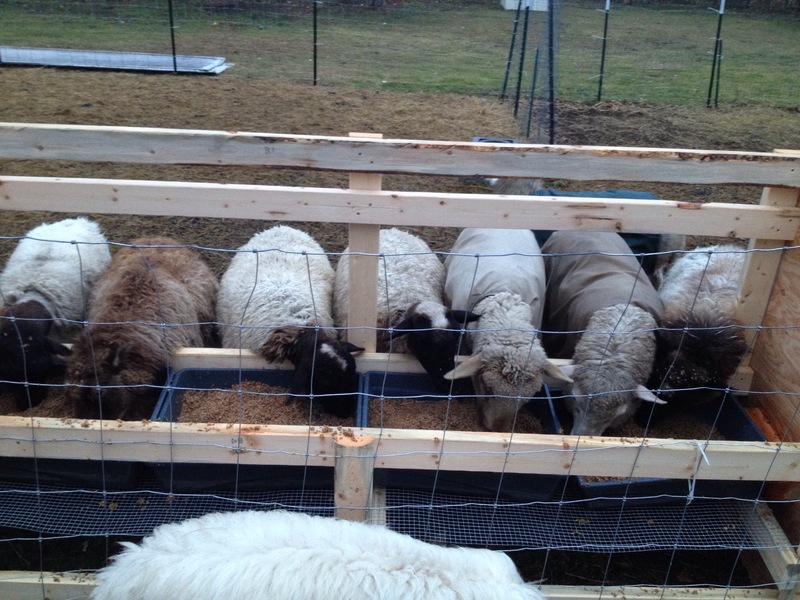 I love knowing their feed is up off the ground and safe from harmful contamination. Mia approves because there’s less pushing and shoving at mealtime. There’s plenty of room for everyone. Now we need to assemble the shelters to keep the ewes out of the weather while they dine. Hopefully I’ll be ready to show off the finish product by the end of he weekend.